Each year, one in every three adults, age 65 and over, has an accidental fall. These falls can cause moderate to severe injuries such as hip fractures and head injuries. Even so, less than half of those injured discuss the incident with their doctors, putting themselves at an even higher risk of dying. In 2010, the direct medical cost of falls, adjusted for inflation, was $30 billion dollars. Part of the problem is there is no one single risk factor that causes all falls. However, the greater the number of risk factors an elderly person is exposed to, the greater the probability of a fall that will end up eliminating any kind of independent living for your elderly parent. Fortunately, falls are NOT a normal part of aging and they are preventable. That’s because a major contribution to falling is simply not knowing the risk factors and how to prevent them. Her are three risk factors that frequently cause older adults to fall. A few preventive actions are described for each. Age related vision diseases, such as glaucoma and cataracts, can increase the risk of falling because they change an older person’s depth perception, peripheral vision and visual acuity. With these diseases the elderly are less able to live in their own home or do simple errands such as grocery shopping. Add contrasting color strips to first and last steps to identify change of level on a stairway. Subscribe to a Medical Alert System and encourage you parent to wear the emergency pendant so they can receive help in an emergency. Fall detection devices are also available with many systems today. Sedative and anti-depressants reduce mental alertness, making it more difficult to maintain balance and causing blood pressure to drop while standing. Elderly people who usually take multiple medications are at greater risk of falling. Make sure you understand all the side effects of all your parents’ medications. Talk to their physician about reducing the chances of falling by using the lowest effective dosage. Also discuss regularly checking that a reassessment takes place regarding the need to take the medication in the first place. Remove all out-of-date medications and those that are no longer used. Limit alcohol intake because it may interact with the medications and make them more potent. Many Medical Alert Systems have pill reminder features that can help the elderly remember their medications. We loose a lot of muscle tone and strength, in addition to bone mass and flexibility, when we don’t engage in physical activity. This reduction of strength and balance also leads to accidental falls. Engage in aerobic exercise to increase muscle and bone strength and to improve balance and flexibility. Wear proper fitting shoes that are supportive; wear low heels and non-skid soles. Wear a medical alert pendant so that you can get help quickly in an emergency. Some providers now offer automatic Fall Detection devices that detect the fall automatically. Keep in mind that the most overwhelming effect of falling is losing independent functioning. Twenty-five percent of those who fracture a hip require life-long nursing care. 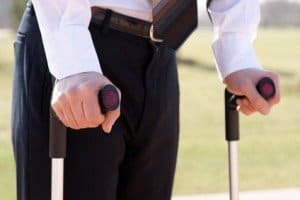 About 50 percent of the elderly who sustain a fall-related injury will be discharged to a nursing home rather than return home.